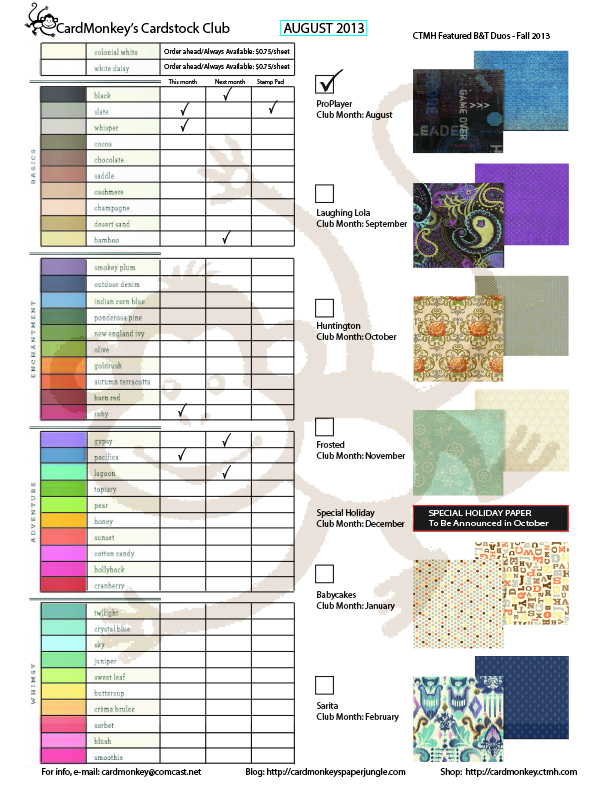 CardMonkey's Paper Jungle: Introducing the CardMonkey Cardstock Club! 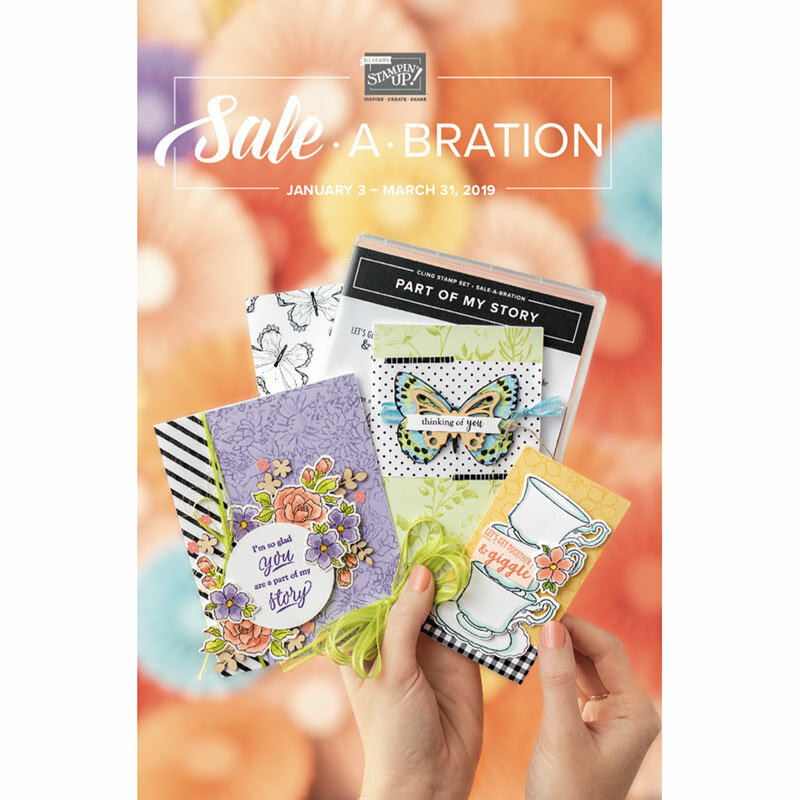 Introducing the CardMonkey Cardstock Club! 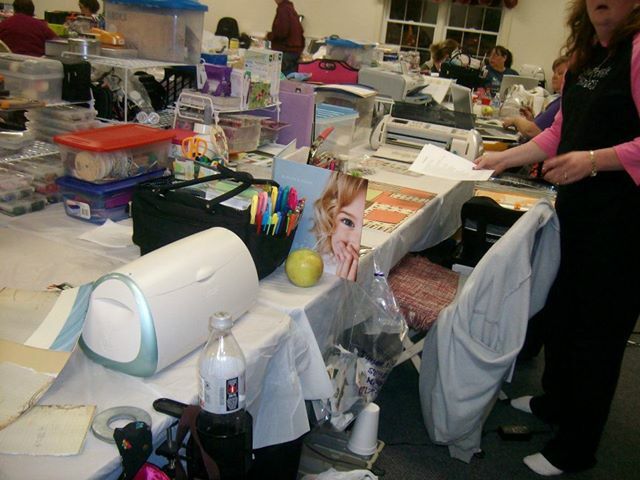 What a fantastic time we four crafters had on Sunday, when I hosted a Papercrafting Crop at Jo-Ann Store in Warrington. 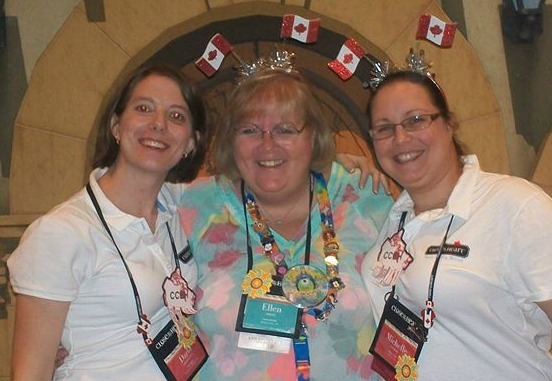 Joining me were my bestie and one of my longest-term friends, Star Sitron, as well as newer/just-as-wonderful friends Susan Bermudez and Lyndra McCalla Barnes. Both Susan and Lyndra are Facebook friends, and Susan shares her fun on her blog, Susana's Scrappin' Corner. $1,000, a trophy and the adoration of her peers (like me!!). I brought my Cricut 2 (and I still prefer the original Cricut Expression) and Silhouette Portrait for the crafters to use. The store had its Cuttlebug and Tim Holtz Vagabond embossing machines for us to use. I also debuted the hot new Artbooking Cricut/CTMH cartridge, and we made some fun swing cards using Artiste and Art Philosophy Cricut cartridges as well. Stop back later this week (Thursday, most likely) when I'll share with you a chart I made and distributed at the crop as a "cheat sheet" in making swing cards, and I'll show one of the cards I made using the handy tool. Heck, you might want to print one out for yourself to keep handy! With these fine women as my core group, I'd like to start a monthly crop -- some smaller scale, and then maybe even a big kapow crop at some future date as we grow. I have one cooking for August that will definitely be of BIG INTEREST to those who thrive on creativity and nifty venues. Stay tuned! Crafters nationwide (and even internationally) describe Close To My Heart cardstock as some of the finest in craftland. Its color intensity, reliability and ink match is unparalleled. Personally, I find that nothing else cuts as well in my Cricut and Silhouette machines (Cameo and Portrait). It holds up well to embellishments and wears well for lasting greetings and memories. ...but, you can't buy it in a store, and it isn't sold by the sheet. Sure, you can purchase it in a bulk pack of 24 sheets to a color, or a color group pack of two each of 10 different colors, but what if you want to build your collection in colors that are color matched to the CTMH new B&T Duos, and buy basics of white and/or colonial white by the sheet? Say no more, have I got a deal for you! Each month, we'll do a group buy and distribution (coordinated by me). For just $25/month, you'll receive 15 sheets of cardstock and a color-coordinated CTMH Exclusive Ink pad, plus free shipping/tax/handling, sent right to your door by the 10th of the month or earlier. Included in the month's Club Pack will be three (12x12") sheets of one of the featured, new B&T Duos, along with three (12x12") sheets of each of four coordinating solid color cardstocks by CTMH. I'll also enclose an Instruction Sheet for the B&T Duo's Workshop on the Go, so you'll have some project ideas right off the bat. Each month, one of the eight participants (randomly picked, with no participant winning more than once, and two winners in two months!) 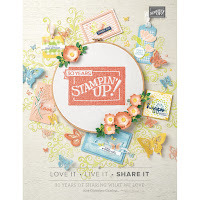 will win that month's Stamp of the Month, free! And in the month, I'll throw in an extra little goodie, just to let you know I love you, a surprise treat! Let's look at the color info sheet I made, so you can see what's on tap for AUGUST. That's right -- we're beginning soon, so be the first on your block to be a premier member of the CardMonkey Cardstock Club. oh boy, I don't think these colors show up right on the Blogger screen, but you'll get the drift. Consult your CTMH color index for truer colors ... It is on Page 9 of your Spring/Summer Idea Book, or on Page 139 of your Fall/Winter 2013 Idea Book; or online at cardmonkey.ctmh.com. This is the chart/packing list you'll receive with your order in August. You'll see that I've slated the Club Members to receive the ProPlayer B&T Duo, along with coordinating Slate, Whisper, Ruby and Pacifica papers. The CTMH Exclusive Ink Pad you'll receive is Slate. You'll note at the top that I will always have on hand to include with your month's order any Colonial White or Daisy White paper you might need. I am selling it for just $0.75/sheet, and will ship it free with your Club Order. In order to join up as a CardMonkey Cardstock Club member, I'll need a six-month commitment from you that you're "in." You'll see (above) that this round of the Club goes 7 months. You may sit out one month by letting me know a week before the first of the month you want to skip. Payments for your Club dues will be invoiced via PayPal and must be paid by the 1st of the month. You may pay via PayPal or personal check. I can only ship to US addresses. If you live internationally, please contact me to discuss whether the extra shipping costs would be worth it to you to receive this great paper. I hate anything with too many rules, so please know I will be as flexible as possible! Just let me know what's going on and we can work it out. Hopefully you won't want to drop out, but if you do, that's okay -- just please give me as much notice as you can so your spot will be filled by someone else on the waiting list. Are you "in"? CONTACT ME today! Leave a comment here that includes an e-mail for me to contact you, which I'll do promptly. We'd love to have you. Oh, and I just have 4 spots left in the first round, so do it soon! WOW! What a fabulous idea! Good luck with your new club. Great idea for a club, best of luck with that. Loved meeting you, and I hope you squeezed me hard enough that you got some of my luck, but with you new gig teaching at JoAnne's it looks like you just might of got some. A Touch of Class and a Lot of Sass! Come Join Me in August at Kathy Davis Studios! Summertime Fun ... Fun Summertime Memories! Happy Birthday to the Krazy Crafting Crew!